What is this string? And what could it mean? Last year's launch of Google Buzz was followed by some blogger navel gazing around how referral traffic from the social network within Gmail was sending negligible traffic. The rub, of course, was that Gmail is served under SSL, and would not be sending back session headers to downstream sites, regardless of click-through volume. So guessing whether Buzz was driving a high or low percentage of traffic relative to other sites was pretty much a guess. In contrast, it is possible to divine traffic from Google+, launched last week, but it's not directly designated, falling under the general Google.com domain. 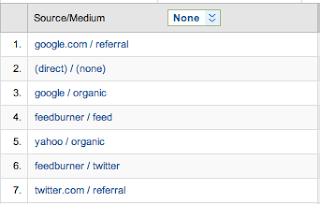 For Google Analytics users, Google+ is not called out as a dedicated site, making its use practically invisible, adding onto the "Google/Referral" statistic, as opposed to "Google/Organic", separating the company's Web apps from native search. If you can track how many times visitors come your way with that particular string in their referral, then you can know just how much an impact Google+ is giving you downstream. For me, despite reports from others, I've never gotten much traffic at all from Facebook, and Twitter tends to like a specific type of story, inconsistently. 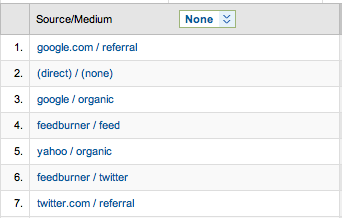 FriendFeed, once my 2nd highest referrer, is practically gone. You get what you give in the social networking space, so no doubt if you participate in G+ (as the cool kids are calling it these days) or you make it part of your flow, you can see it bringing visitors your way. So watch for that string if you care about this stuff. There's no Gmail excuse this time to obscure transparency.